The first edition of Soft Vinyl Mayhem was held for one short but intense night and many attendees had their very first taste of vinyl toy collectibles and apparently it left most hungry for more. The second edition lasted for an entire week giving many people a chance to visit and explore the colourful world of independent soft vinyl toys! Hosted by Brisbane-based lifestyle boutique Laced and presented by Bad Teeth and Derrr Toys “SOFT VINYL MAYHEM II” features the works of an impressive list of Artists and Toy Makers. 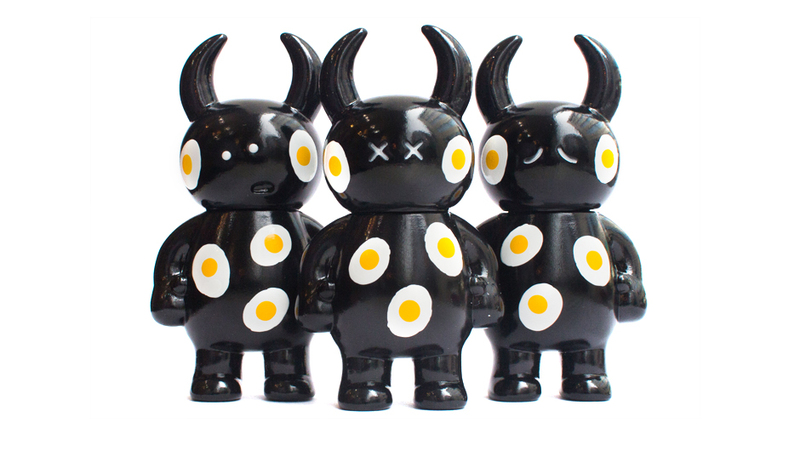 STUDIO UAMOU has created an exclusive run of Breakfast Uamou which was featured on the show. Fresh Bread Uamou, Bacon Uamou and Fried Eggs Uamou are all hand-painted by Ayako Takagi.